Just days after Lloydie goes on his 'indefinite leave of absence' from showbiz. 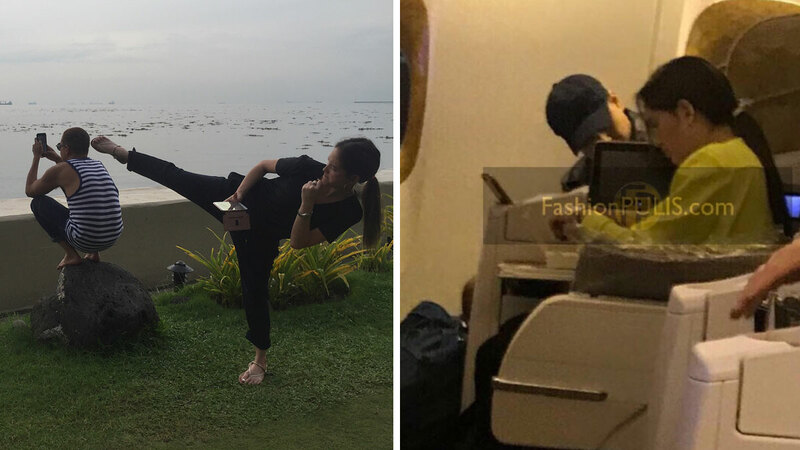 It looks like John Lloyd Cruz's "indefinite leave" from ABS-CBN has already taken into effect after rumored girlfriend, Ellen Adarna, recently shared images of the two enjoying some downtime overseas. The model-turned-actress was pictured goofing around behind John Lloyd, who was busy capturing the scenery in front of him. Writing on Instagram, she said, "Ayaw mo kong pansinin ha. Toink!" On Sunday, October 8, Ellen revealed that they are currently in Casablanca, Morocco via her Instagram Stories. In one of the videos, a cheerful Ellen greeted her followers, "Good morning, Casablanca!" She then showed off her view of the beach with men playing soccer. A voice that resembles John Lloyd's can also be heard in the video: "'Dun tayo, oh, para malapit sa beach." The getaway is just days after John Lloyd's home network, ABS-CBN, issued an official statement on Friday, October 6, saying that the 34 year-old-actor is taking an indefinite leave of absence from the entertainment scene to "attend to personal matters." And on Saturday, October 7, John Lloyd was spotted with Ellen aboard an Emirates flight to an undisclosed destination.